On Sale! 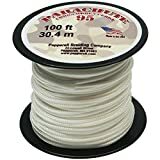 Up to 9% off on Paracord at Hit The Ice Box. 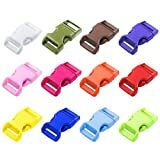 Top brands include Stockstill Outdoor Supply, PARACORD PLANET, Fen Fun, Pepperell, BoredParacord, & Yoeroom. Hurry! Limited time offers. Offers valid only while supplies last. 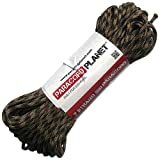 Paracord Planet 550 lb, 100' Foot Hank, Brown Camo Parachute Cord. Also known as paracord rope, parachute rope, utility cord, tactical cord, and military cord. USA made to provide durability and strength.